Mosques could achieve a prominent dignity during the great movement of Imam Khomeini (peace upon to him). The Jalili, Lor Zadeh, Hedayat, Qoba and the mosques of Tehran Bazar were active in revolutionary movements in their area. These mosques were as the safe trenches played their role in educating the revolutionary forces and now, they are a part of the history of our great land. The mosques of Tehran as the political capital of Iran have been pioneer in progress of the revolution. The great names such as Motahari, Moufatteh, Taleqani, Mahdavi Kani and …. Show importance of the mosques of Tehran. Ayatollah Mahdavi Kani is the name of a great man who in the process of the Islamic revolution was the Imam of this mosque which had played its pivotal role in process of the revolution. Sir martyr Moutahhari was one of the preachers of this mosque who discussed on many topics such as socialism, materialism and etc. these discussion caused to attract many of people, especially university students to the mentioned mosque. According to one of the given reports by SAVAC, more than 600 people had been presented in mosque in one of these meetings. Sir martyr Bahonar also was one of another preachers who gave speeches about differences between superstitions and principles of religion in this mosque. Totally, we can say that Jalili Mosque was the next mosque after suspension of Hedayat Mosque from work that changed to the main place for gathering of religious opposition groups whom SAVAK nominated them as the dogmatic religious opposition. Religious preachers gave speech in this mosque by invitation of Ayatollah Mahdavi Kani (peace upon to him) who followed the manner of Ayatollah Taleqani (he may rest in peace) in guiding people. Ayatollah Mahdavi Kani was one of the preachers of this mosque. He gave speech and discussed on the principles of the Islamic governance. These meetings were welcomed among students of universities who were presented in this mosque to discuss about the economic and political issues and lacks of Pahlavi Regime in these fields. The environment of this mosque was the symbol of opposition movement against Pahlavi regime. This mosque entered to political activities sphere by start of nationalization of Iranian oil industry movement. Actually this mosque got well known because of its grand Imam, Sir Martyr Ayatollah Taleqani (peace upon to him) who changed this mosque from a local mosque to an important place for gathering of the revolutionary forces. This religious scholar defended the nationalization of oil industry movement in Iran. He preaches on defending this movement in this mosque and many other places which he gave a speech in order to notify people. Therefore, decedent Ayatollah Taleqani had connected Hedayat Mosque and the National Resistance Movement. Martyr Navab Safavi was the other revolutionary and famous faces who used the pulpit of Hedayat Mosque for his political activities against Pahlavi Regime. Hedayat Mosque retained its position against the regime after 28th Mordad coup event and was the main entrenchment for various masses of people. That’s why SAVAC closed this mosque. By start of the Imam Khomeini’s movement, Hedayat Mosque kept its pivotal role in process of events. In 70th decade also this mosque continued its activities till victory of the revolution while Ayatollah Taleqani was arrested and kept in Pahlavi prisons. The designed strong programmes by Martyr Moufatteh caused to change this mosque to the main place for gathering of the revolutionary masses. Ayatollah Mohammad Moufatteh who was one of the premier students of Imam Khomeini gathered thousands of Tehran people in this mosque and cited the massage of Imam Khomeini and revolution among them. He was guide for those discussions and meeting about the concept of Islamic Governance while was not allowed to deliver any speech (according to imposed restrictions by govt). The holy Ramadan of 1978 was abundant for Iranians because Martyr Dr. Moufatteh could made people ready to attend a mega protest against Pahlavi Regime in Tehran for the first time which happened in Eid-Al-Fitr. While Iran was going into happening the revolution, role of Qoba Mosque in its Imam was getting more important day to day among the masses of people. 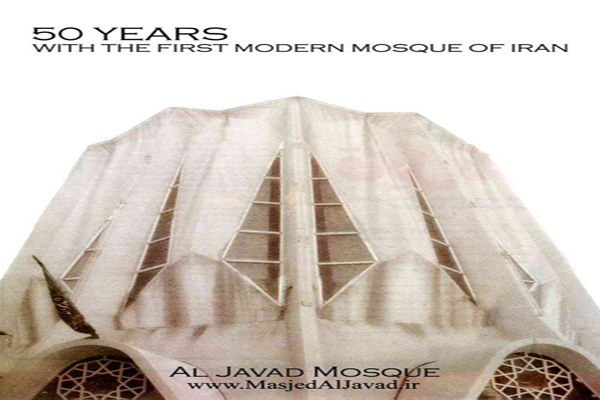 The new statements from Imam Khomeini, Bazar, clergies and seminaries were published from this mosque. Qoba Mosque and Martyr Dr. Moufatteh leaded the popular movement and political activities in a vast scale of Tehran in that era. Al-Javad as one of the first modern mosques of Iran is located in city center of Tehran and has been one of the most effective and important mosques of this city since it’s establish date in 1964. But the most significant character of this mosque was its strong and scholar Imam means Sir Martyr Motahhari who was one of the most cardinal principles of Pahlavi Dynasty downfall. Ayatollah had been the imam of Al-Javad Mosquesince 1971 to 1973. He delivered his strong speeches in this mosque and also invited many famous religious scholars such as Ayatollah Imami Kashani, Ayatollah Nouri Hamedani, Ayatollah Mahallati and Hujjat-Ul-Islam Falsafi to take lectures in this mosque. Also many associations which were created mostly by university students by Martyr Motahhari in this mosque. Some of these associations were the Association of Engineers, the Islamic Association of Students, the Islamic Association of Physicians,… . Awfully, the cruel Pahlavi regime closed this mosque in 1973, but this issue never could stop the political activities of Al-Javad Mosque. Even these activities continued after victory of the Islamic Revolution. After Imam Khomeini’s preaching which caused to his arrest by police forces, in Ashoura Day of 1974, the revolutionary forces demonstrated against Pahlavi Regime. These protests and movements were continued till one week later that many people of Bazar gathered in Azerbaijani Mosques of Bazar defending Imam Khomeini. Finally, people and police forces enetered to battle against each other. Many of people were killed in this battleship. This mosques belongs to Qajar Dynasty and is located in center of Tehran Bazar. Political activities raised in this mosques since 28th Mordad coup in Iran. This event caused to gather the faithful Muslims of Bazar around clergies. Among the mosques of Bazar, we can consider Sayyed Azizullah, Sheikh Ali, Amin-ul-Douleh, Shah, Ark and Azerbaijaniha mosques as the most important mosques in process of the Islamic Revolution which played pivotal role in victory of this revolution.